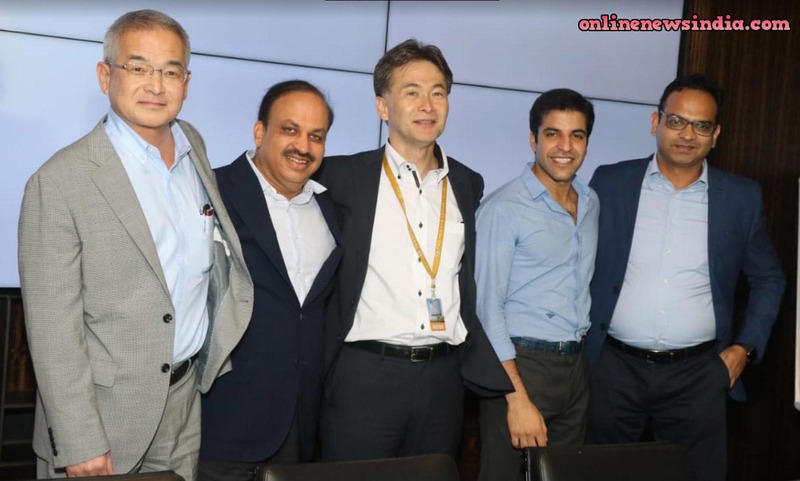 The announcement was done at Yamaha Motors headquarters in Iwata, Japanby Hero Motors Company Chairman & Managing Director Pankaj M Munjal, Yamaha Motor Co., Ltd. Executive General Manager SPV Business Unit Mitsuyoshi Sunakawa and Mitsui & Co., Ltd. General Manager Third Motor Vehicles Div. Yuji Tokunaga. Hero Cycles Ltd. is the flagship company of the Hero Motors Company group, and is the world’s largest integrated bicycle manufacturer by volume, manufacturing and selling more than 19000 bicycles every day. Firefox Bikes India, Avocet Sports UK and BSH Ventures Sri Lanka are the other bicycles companies from the Hero Motors Company. Yamaha Motor Co., Ltd is a world-leading producer of motorcycles, marine products, power products and surface mounters. The company’s diverse business and wide variety of products are built around its proprietary technologies focused on small engines, chassis & hull and electronic control. Mitsui & Co., Ltd. is one of the most diversified and comprehensive trading, investment and service enterprises in the world, with 136 offices in 66 countries as of October, 2018.